Anya Jabour, Ph.D., has been teaching and researching the history of women, families and children in the 19th-century South for more than 20 years. She is Professor of History at the University of Montana, where she is affiliated with Women’s, Gender and Sexuality Studies and African-American Studies and has received several awards for teaching and research. In this blog post, Jabour reveals how most Americans in the Civil War era struggled to maintain familiar mourning rituals in death’s aftermath. Spoiler Alert: This post discusses events in Episode 5: The Dead Room. Much of Episode Five: The Dead Room, revolves around the grim wartime reality of sudden death. 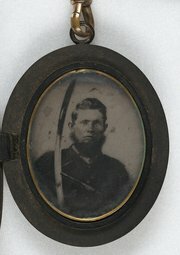 In the Civil War South, death was omnipresent. Nineteenth-century Americans, who cherished the ideal of a “good death”—a deathbed scene complete with an adoring family, wise counsel, fond farewells, and assurances of eternal salvation—struggled to grapple with death on an unprecedented scale during the war years. The number of soldiers who died during the Civil War was equal to—perhaps even greater than—the total U.S. deaths in the American Revolution, the War of 1812, the Mexican War, the Spanish-American War, World War I, World War II, and the Korean War combined. In addition to approximately 600,000 soldiers’ deaths—both on the battlefield and in the hospital—an estimated 50,000 civilians lost their lives in the conflict. 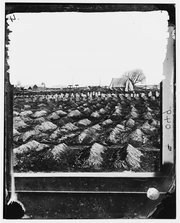 Both dismemberment during battle and decay on the battlefield during the often-lengthy interval between death and recovery challenged Civil War-era Americans’ ideas about the “good death.” Bodies were often buried where they fell, often in mass or unmarked graves, although at least in some instances—usually involving officers—some attempt was made at a funeral service. “Day-before-yesterday, a man of Company I died of chronic diarrhea. I had a hole dug in the ground by dint of persuasion and threat, about three feet deep, then put some poles upon the bottom, then deposited the poor fellow with clothes all on, including overcoat and shoes, and drew his blanket around him, while cracker box covers formed the ends of his narrow house. A handful of straw scattered upon the top, and mother earth covered the mortal remains of [twenty-two-year-old] Chester G. Alger -- a man beloved by all who knew him -- a man beloved of God -- a man who... performed his part of a soldier well. wings to join his God in glory...."
For many Americans who lost a loved one to the war, securing the return of the body—or, failing that, a detailed account of the departed’s final words and state of mind—was essential to come to terms with the death and begin the mourning process. Indeed, it was in the Civil War era that some enterprising businessmen developed the techniques of embalming that allowed them to preserve bodies and ship remains back home—for a price. Many Americans traveled great distances to find the graves of their loved ones and recover their remains. 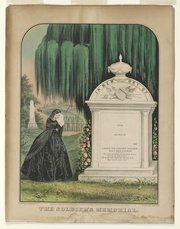 The goal was to re-bury the deceased in the family cemetery and to honor the dead with a proper funeral service, as Mrs. Fairfax wished to do for her son, Tom. The scene depicted here, the funeral of Confederate cavalry captain Willian D. Latane, only approximated such a service, as it lacked a clergyman to deliver a final benediction. Even accessories announced mourning; while in heavy mourning, women frequently appeared draped in heavy veils; in subsequent stages of mourning, they wore special mourning jewelry fashioned of jet or other black, matte-surfaced materials. The principal exception to jet jewelry was hair jewelry. Elaborately fashioned from locks of the deceased person’s hair, hair brooches, pendants, bracelets, and rings allowed the survivor to keep a portion of their departed beloved one close. Mercy Street reminds viewers that the advances of the Civil War era—freedom for African Americans, enhanced opportunities for women, and medical advances for doctors, nurses, and their patients—came at great cost. All images from Library of Congress. 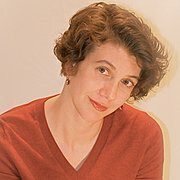 Anya Jabour, M.A., Ph.D., has been teaching and researching the history of women, families, and children in the nineteenth-century South for more than twenty years. She is Professor of History at the University of Montana, where she is affiliated with Women’s, Gender, and Sexuality Studies and African-American Studies and has received several awards for teaching and research. 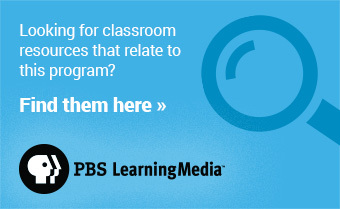 She is excited to be sharing her love for the Civil War-era South with PBS.